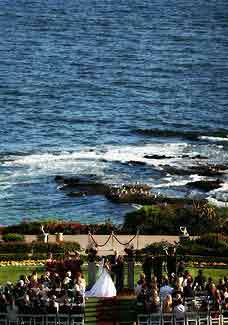 As a top Southern California wedding minister I can assure you that the Montage Resort and Spa has everything you could ask for in a wedding venue. The Montage is designed o perfection in a romantic seaside setting above the ocean’s waves. You and your beloved will exchange vows and celebrate in the company of family and friends. As your guests enter, they will be escorted along garden paths to oceanfront lawn. Gentle ocean breezes mingle the soft scent of sea spray with that of fragrant blossoms. Those blossoms will be the flowers that you selected especially for your wedding day. This California spa resort has breathtaking ocean-views, casual seaside elegance. Countless services and amenities will allow you and your fiance to create the wedding of your dreams. Wedding ballrooms are adorned in silk fabric wall coverings, crown molding, and wainscotting. 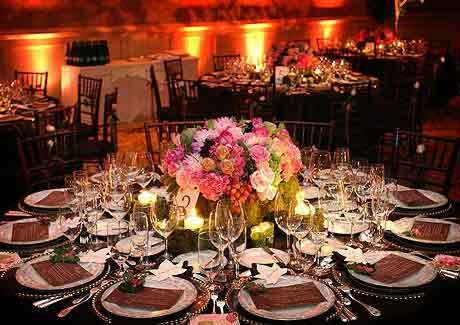 The Montage wedding experts customize events to exceed all expectations using the finest crystal, fabrics, and tableware. They can provide everything but your wedding minister or officiant. Consider the Montage Resort an Spa if you are thinking of having your wedding ceremony or reception anywhere in Los Angeles County or Orange County, California. Of course, I, the Officiant Guy, would love to be your wedding officiant.